Your favorite superheroes from the hit Teen Titans Go! series! Your super hero collection won’t be complete without this Teen Titans Go! 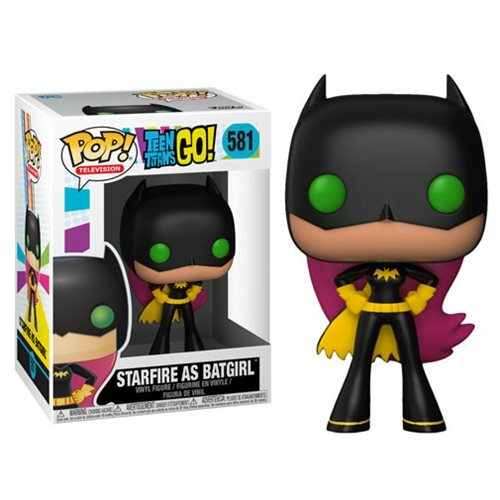 Starfire as Batgirl Pop! Vinyl Figure #581. Measures approximately 3 3/4-inches tall and comes packaged in a window display box. Ages 3 and up.